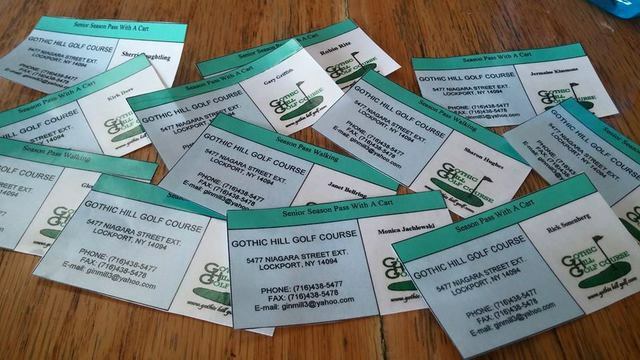 If you are a frequent golfer at Gothic Hill Golf Course, then it’s worth it to purchase a season pass. A season pass at our Lockport, NY golf course will save you a considerable amount of money over buying single games each time you visit. Give us a call today to find out more about our rates. Use Promo Code "MERRYCHRISTMAS" before Dec 31st to receive your discount! Our Lockport, NY golf course is just a short drive from Amherst & Niagara Falls, NY. Contact us today for information about our season passes or stop by today to get one for yourself.